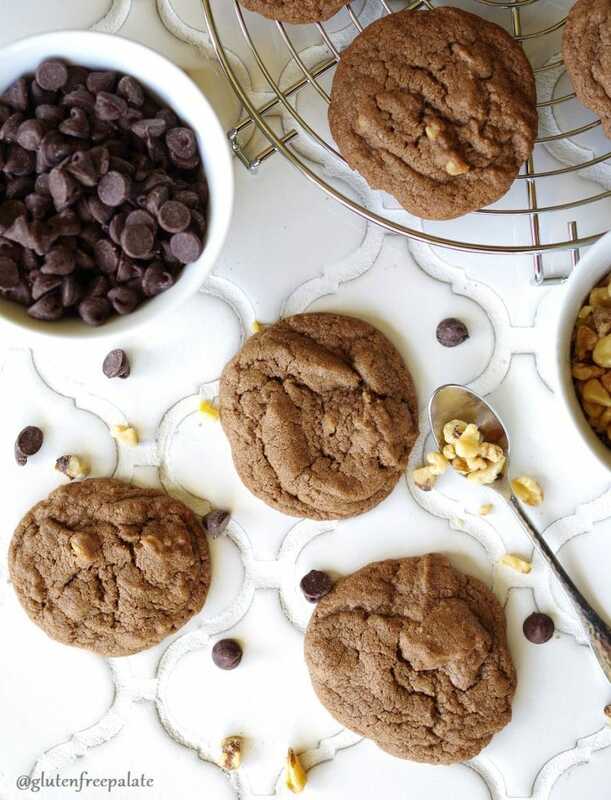 Soft, chewy, and fudgy, these Gluten-Free Chocolate Drop Cookies are quick to whip up, and make the perfect treat for any occasion. 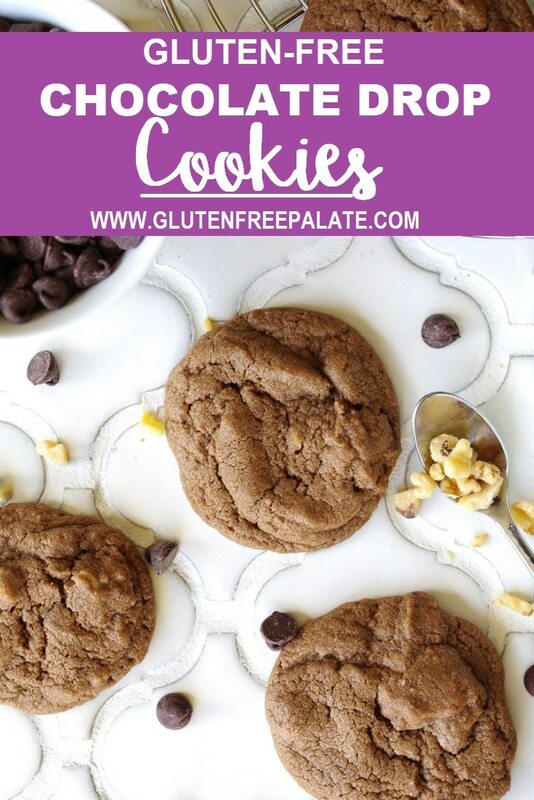 You are going to love these gluten-free chocolate cookies. 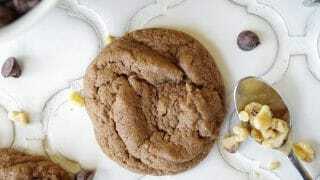 Gluten-Free Chocolate Drop Cookies are a traditional and classy chocolate cookie. They’ve been around for at least a hundred years, if not more and continue to be a favorite during the holidays. They are a softer cookie that incorporates melted chocolate into the cookie dough, lending a tender texture. You can make these Gluten-Free Chocolate Drop cookies year round, but most people tend to make them around the holidays. They make a scrumptious little Christmas cookie and stay good in an airtight container for up to 4 days before they start to stiffen. Layer them in between wax paper and place them in a decorated tin for holiday gifts. For this recipe I used Ryze gluten-free flour. You can also use my gluten-free flour blend or Bob’s Red Mill 1-to-1 Gluten-Free Flour. This recipe calls for walnuts but you can either leave the nuts out or use your nut of choice. Also, the type and brand of chocolate you use is up to you. For an extra special treat add mini chocolate chips. My girls don’t typically eat cookies with nuts in them, but they love these cookies. The combination of flavors keeps them reaching for seconds. Pre-heat oven to 350°F. Line two baking sheets with parchment paper; set aside. In a large mixing bowl, cream butter and brown sugar until light and fluffy. Beat in the egg and vanilla. Beat in melted chocolate until well combined. In a separate medium mixing bowl combine flour, baking soda; and salt. Add dry ingredients to wet ingredients and beat until combined. Drop by tablespoonfuls 2-inches apart. Bake for 12-14 minutes or until the cookies are set. Cool on pans for 2-4 minutes. Move to wire racks to cool completely. Store in an airtight container for up to 4 days at room temperature. These gluten-free cookies are naturally soft and chewy. 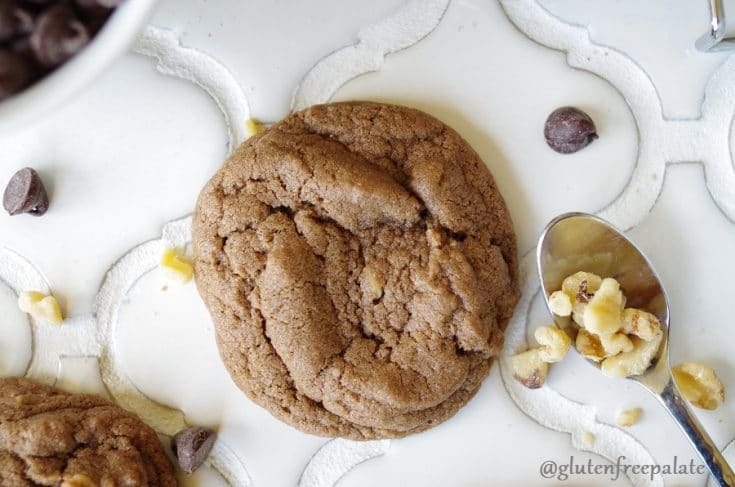 If you are looking for more holiday recipes, you might want to make my Gluten-Free White Chocolate Macadamia Cookies, or my Grain-Free Thumbprint Cookies. Both are simple and make great options for holiday gatherings and food gifts. 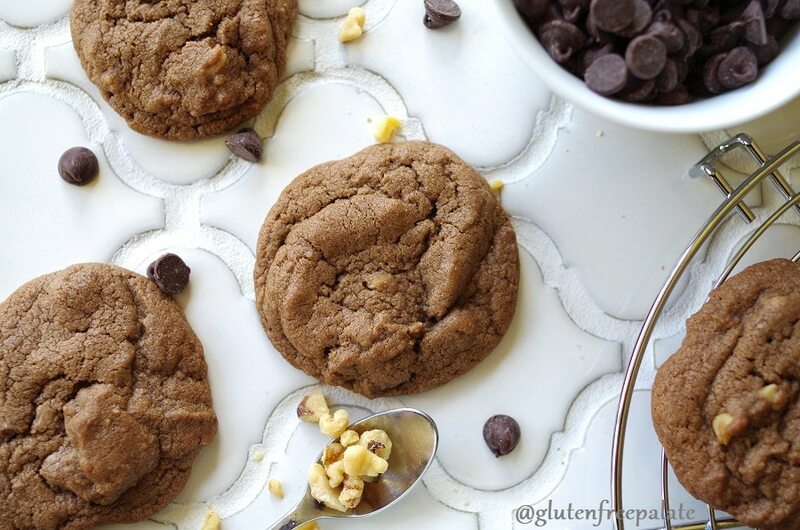 Did you make these gluten-free drop cookies? If so, please let me know what you thought. If you have any questions please leave a comment below and I will get back to you. Soft, chewy, and fudgy, these Gluten-Free Chocolate Drop Cookies are quick to whip up, and make the perfect treat for any occasion. Hi Crystal; I am looking for Gluten/Dairy/Wheat/Sugar & Corn FREE. Thank you. You can search for “grain-free” and “paleo” on my website, you should be able to find recipes that work. 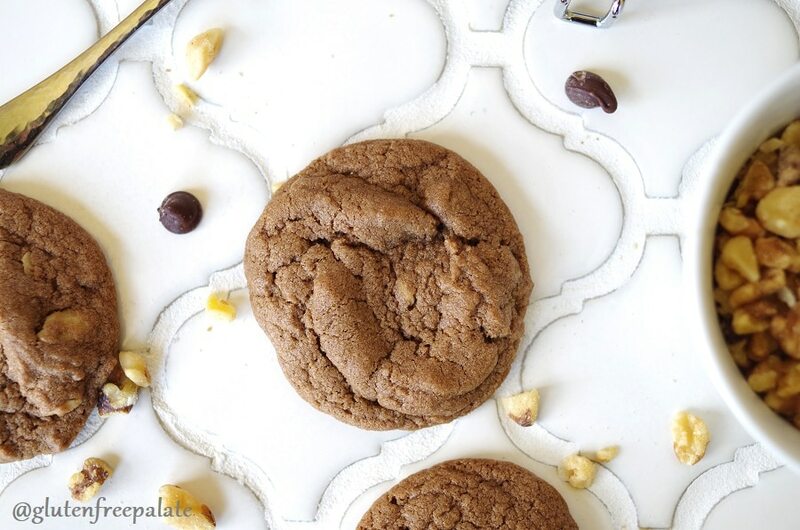 Just wondering if you think this cookie recipe would work with an egg replacer (and if so, which would be best… applesauce, banana, Ener-G egg replacer, etc.). Would love to make this for my son who is allergic to wheat and egg. Thanks! You can definitely leave out the nuts. I haven’t tried an egg replacer in this recipe, but I’d either do a flaxegg or use Bob’s Redmill egg replacer. Oh, and he’s allergic to nuts as well, so assuming you could leave out the nuts? Thanks again!